Was security negligence a factor in this tragic shooting, and do the victims’ families have a right to compensation? Read our legal take? A fatal shooting at Mr. D’s Lodge in Auburn reportedly claimed the lives of three young men and left another injured Saturday morning, April 23, 2016. According to WSFA News 12, the shooting occurred “after an altercation broke out at a club known as Mr. D’s Lodge.” “[O]fficers received a call about a shooting around 2 a.m. at Mr. D’s,” per WHNT.com, and police reportedly arrived on scene as shots were still being fired. News 15 reports, 32-year-old Jadarrion Spinks, 25-year-old Roderick Nelms and 43-year-old Recco Cobb succumbed to fatal injuries at the scene. 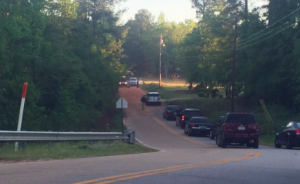 A fourth victim was transported to East Alabama Medical Center and “is expected to recover,” per media reports. Nightclub patrons have a right to be safe and secure while on the premises of the establishment that they are visiting. The Murray Law Firm questions the level of security provided to patrons of the establishment where this incident occurred and whether this tragedy may have been prevented. What security measures, such as weapons screenings, surveillance cameras, bright lighting, and security patrols, were in place to protect patrons at the time of the shooting? Generally, nightclub owners are required to protect all patrons legally on the premises from any foreseeable harm. Should the facts of this matter reveal that the owner or management of the establishment failed to provide adequate security to protect those on its premises, the families of Mr. Spinks, Mr. Nelms and Mr. Cobb may elect to seek justice and pursue a legal claim for their wrongful deaths. Additionally, the surviving victim may elect to pursue a legal claim for his injuries.